Sen. Corker is staying out of the Tennessee Senate race. Sen. Bob Corker is staying out of the Tennessee Senate race, his chief of staff tells ABC News. Corker announced his retirement in September in a statement saying, in part, “After much thought, consideration and family discussion over the past year, Elizabeth and I have decided that I will leave the United States Senate when my term expires at the end of 2018.” In recent weeks, however, ABC News reported that Corker has "been encouraged to reconsider his decision and is listening closely," according to spokesman Micah Johnson. 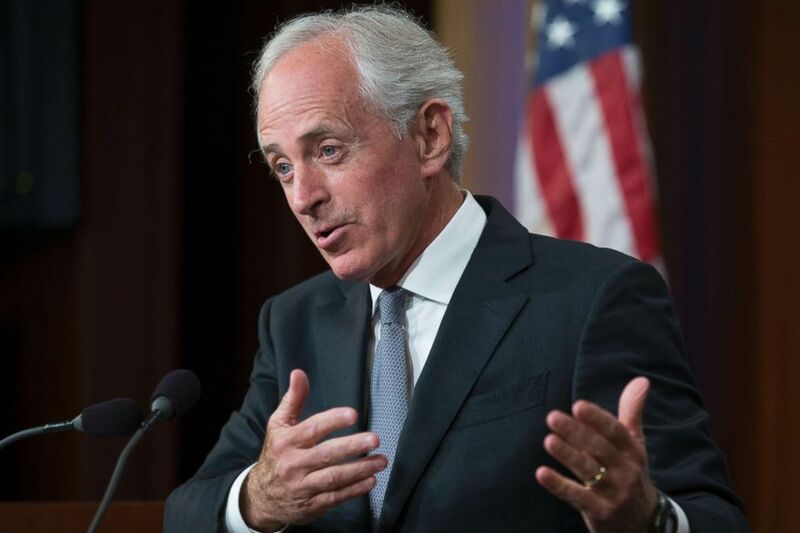 (Michael Reynolds/EPA via Shutterstock, FILE) Bob Corker speaks during a news conference on Capitol Hill in Washington, Sept. 14, 2017. The news of Corker deciding against re-election was first reported by Politico.